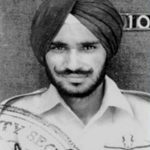 Flying Officer Nirmal Jit Singh Sekhon was born on 17 July 1945 in the village of Issewal in Ludhiana of Punjab. Son of Sri Trilok Singh Sekhon and Smt Harbans Kaur, Fg Offr Nirmal Jit was fascinated with aircraft and Air Force life since his childhood as his village was located in the vicinity of Air Force base Halwara near Ludhiana. He was also inspired by the experiences of his father who served in the IAF and later retired as (Honorary) Flight Lieutenant. 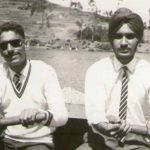 Fg Offr Nirmal Jit studied in Khalsa HIgh school Ajitsar Mohie near Ludhiana and later joined Dayalbagh Engineering college in Agra in 1962. However he left the engineering course midway and joined the IAF. He was commissioned into the IAF on 04 June 1967 as a fighter pilot. After completing his rigorous training , Fg Offr Nirmal Jit joined No 18 Squadron, known as “Flying Bullets” in Oct 1968. 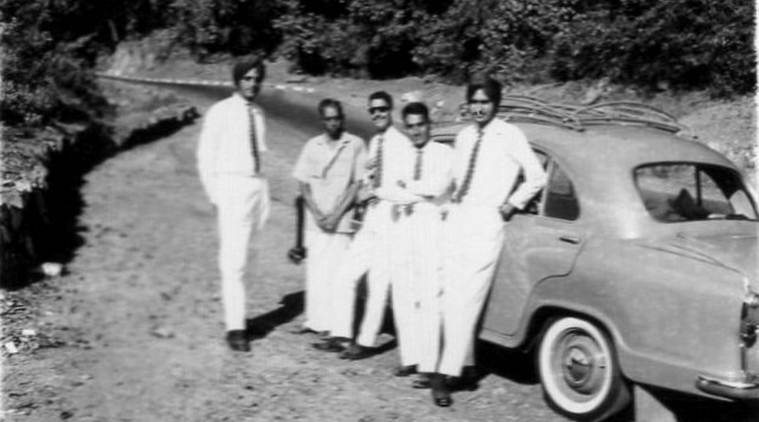 During the Indo-Pakistani War of 1971, Flying officer Nirmaljit Singh Sekhon was a pilot of a Gnat detachment (18 Squadron, known as “The Flying bullets”) based at Srinagar. In accordance with the international agreement dating back to 1948, no air defence aircraft were based at Srinagar, until hostilities broke out with Pakistan. Fg Offr Sekhon was, therefore, unfamiliar with the terrain and was not accustomed to the bitter cold and biting winds of the Kashmir winter. Nevertheless, he and his colleagues fought successive waves of intruding Pakistani aircraft with valour and determination. On 14 December 1971, Srinagar airfield was attacked by six Pakistan Air Force F-86 jets of 26 Sqn from PAF base Peshawar. Fg Offr Sekhon was on readiness duty at that time. As soon as the first aircraft attacked, he rolled for take-off as No. 2 in a two-Gnat formation, with Flt Lt Ghumman in lead, just as the first bombs were falling on the runway. He could not start immediately as the dust from the first Gnat was clearing. By the time the runway was fit for take-off, the six enemy aircraft were overheard, and attack on the airfield was in progress. Nevertheless, in spite of the immense danger of attempting to take off during an attack, Fg Offr Sekhon took off and immediately engaged a pair of attacking Sabres. In the ensuing air battle, he made a direct hit on one Sabre and set another ablaze. The latter was seen heading away towards Rajauri, trailing smoke. He thus succeeded in damaging and knocking off two of the enemy aircraft. In the fight that followed, at treetop height, Fg Offr Sekhon held his own but was eventually overcome by sheer weight of numbers. Fg Offr Sekhon, after being hit, was advised to return to the base. It is believed that he had flown in straight, wings level for some time, then going inverted, plummeting down, probably due to the failure of the control system. He attempted a last-minute ejection, which did not prove successful, as his canopy was seen to fly off. His aircraft crashed and he was martyred but his sacrifice did not go in vain. The Sabre jets, unable to complete their attack on the town and its airfield, immediately retreated and fled the scene. The true heroism, exemplary courage, flying skill, and determination, above and beyond the call of duty displayed by Flying Officer Sekhon, was in the finest tradition of the IAF. His bravery and skill, against odds of 1 to 6, earned him India’s highest wartime medal for gallantry, the “Param Vir Chakra”. Fg Offr Sekhon was the first officer of the IAF to have received the nation’s highest gallantry award , “Param Vir Chakra” and continues to be remembered as one of the greatest air warriors of the IAF. 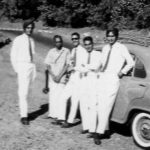 Flying Officer Nirmal Jit Singh Sekhon was a pilot of a Gnat detachment based at Srinagar for the air defence of the valley against Pakistani air attacks. From the very outbreak of the hostilities he and his colleagues fought successive waves of intruding Pakistani aircraft with valour and determination, maintaining the high reputation of the Gnat aircraft. On 14 December 1971, Srinagar airfield was attacked by a wave of enemy Sabre aircraft. Flying Officer Sekhon was on readiness duty at the time. Immediately, however, no fewer than six enemy aircraft were overhead, and they began bombing and strafing the airfield. In spite of the mortal danger of attempting to take off during the attack, Flying Officer Sekhon took off and immediately engaged a pair of the attacking Sabres. In the fight that ensued, he secured hits on one aircraft and damaged another. By this time the other Sabre aircraft came to the aid of their hard-pressed companions and Flying Officer Sekhon’s Gnat was again outnumbered, this time by four to one. Even though alone, Flying Officer Sekhon engaged the enemy in an unequal combat. In the fight that followed, at treetop height, he almost held his own, but was eventually overcome by the sheer weight of numbers. His aircraft was shot down by a gunfire of one of the Sabres and he was killed. The sublime heroism, supreme gallantry, flying skill and determination above and beyond the call of duty displayed by Flying Officer Sekhon in the face of certain death have set new heights in Air Force traditions. 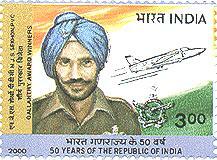 The Army Postal service issued a special cover on 07 Oct 1982 to honour Flying Officer Nirmal Jit Singh Sekhon on the 50th anniversary of IAF. A commemorative postage stamp was issued in the honour of Fg Offr Sekhon on the 50th Republic day in 2000. 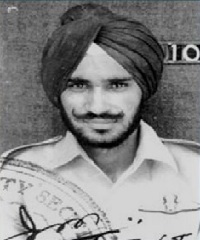 A marine tanker built in 1985 was named ‘Flying Officer Nirmal Jit Singh Sekhon, PVC’. It is the longest ship name in the world. Also, the junction roads to Chandigarh, Jalandhar, Ambala and Ferozepur were named Nirmal Jit Singh Sekhon Chowk. 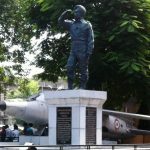 A statue in tribute of Flying Officer Nirmal Jit Singh Sekhon was erected at the district court of Ludhiana (first erected at Samrala Chowk, Ludhiana) in the courtyard. A decommissioned Folland Gnat fighter is part of the memorial and serves as a gate guardian. 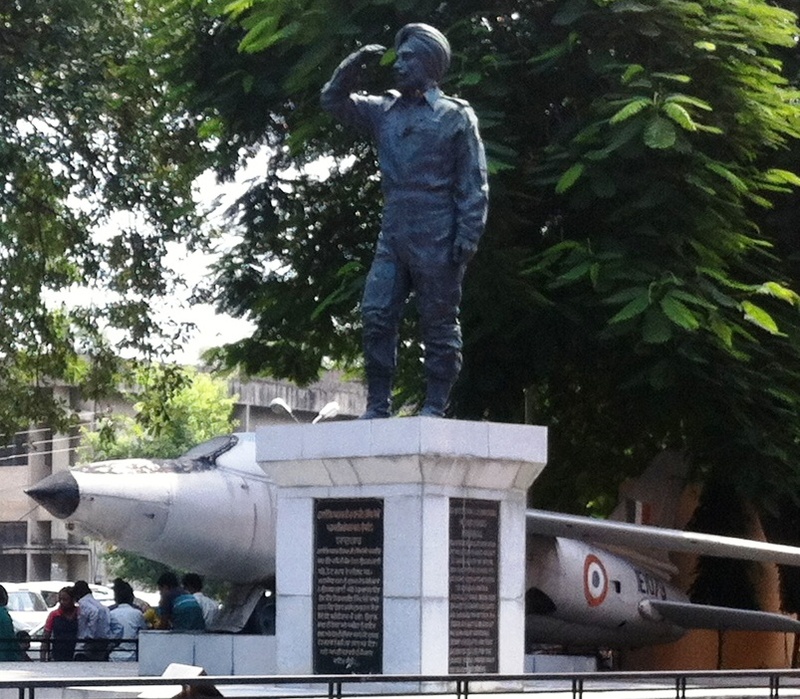 His statue along with a decommissioned Folland Gnat fighter has been placed in the Indian Air Force Museum, Palam. A detailed story of his effort has been mentioned in fairly detailed account by Air Commodore Kaiser Tufail. His skill was later also praised in an article by Salim Baig Mirza, the pilot who shot him down. Ravinder Singh Gill, a family friend recounts his association with the martyr. A course mate and Good friend . Very proud of his bravery and professionalism. We were CO pupils of the same instructor on Vampires . The last time I met him was when he had got married just before the war when a few course mates posted at Halwara had a reception dinner in his honour . Recently , as a course we celebrated our Golden Jubilee after completing 50 years since Commission , during which we honoured him . A memento of the same was handed over to the CAS to be placed in the Air Force MUSEUM. 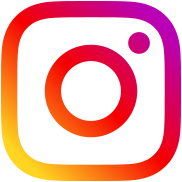 This has been done . Yeah, you are absolutely right as he was married on 13 Feb 1971 only and on 14 his younger brother was married. Alas his widow couldn’t even wait for his death anniversary for remarrying. He was the saviour of Srinagar. Even PAF Officer Air Cdre Kaiser has written a book titled “SOME ENEMIES ARE ALSO RESPECTABLES”. Air Cdre (retd) MHK DOTANI who was part of the PAF’s team on the 14 Dec 1971 replied to me, “He was indeed a Tiger. I was Lucky that I escaped”. What one can expect from an enemy if they have respect for their rivals. What happened to his wife ? 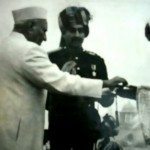 “Tale of a Brave IAF Pilot: A Hard Nut to Crack: “1971 Indo Pak War …. Kashmiri air bases are under repeated Attacks by PAF sabres… Another Attack is being launched and in that an Indian Gnat Pilot puts up a Fight against Sabres before being shot down! 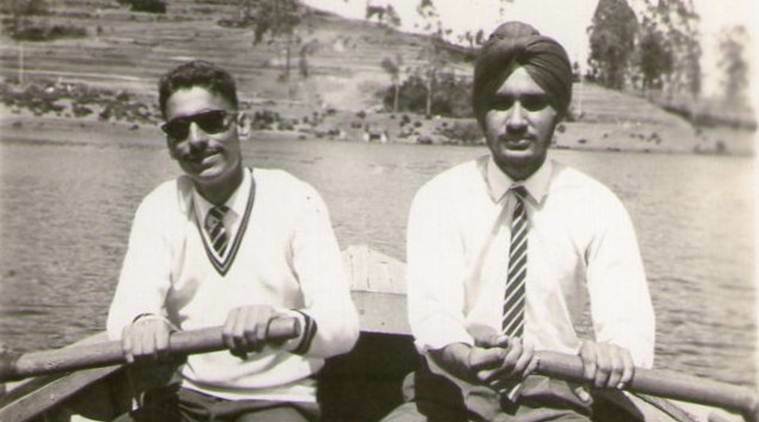 That Pilot was Flg off: Nirmaljit Singh Sekon as “Some enemies are also Respectable” for all. Nirmaljit Singh Sekon, on the other hand, was posthumously awarded the Param Vir Chakra, India’s highest award for wartime gallantry and the only one received by an airman. His was a commendable effort indeed, as he had kept the field single-handedly to the very end”. Extract from Tale of a Brave IAF Pilot: A Hard Nut to Crack by Air Commodore Kaiser Tufail. 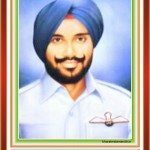 Flying Officer Nirmal Jit Singh Sekhon was a pilot of a Gnat detachment based at Srinagar for the air defence of the valley against Pakistani air attacks. From the very outbreak of the hostilities he and his colleagues fought successive waves of intruding Pakistani aircraft with valour and determination, maintaining the high reputation of the Gnat aircraft. On 14 December 1971, Srinagar airfield was attacked by a wave of enemy Sabre aircraft. Flying Officer Sekhon was on readiness duty at the time. Immediately, however, no fewer than six enemy aircraft were overhead, and they began bombing and strafing the airfield. In spite of the mortal danger of attempting to take off during the attack, Flying Officer Sekhon took off and immediately engaged a pair of the attacking Sabres. In the fight that ensued, he secured hits on one aircraft and damaged another. By this time the other Sabre aircraft came to the aid of their hard-pressed companions and Flying Officer Sekhon’s Gnat was again outnumbered, this time by four to one. Even though alone, Flying Officer Sekhon engaged the enemy in an unequal combat. In the fight that followed, at treetop height, he almost held his own, but was eventually overcome by the sheer weight of numbers. His aircraft was shot down by gunfire of one of the Sabres and he was killed. 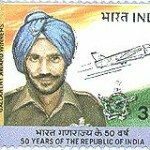 Nirmal Jit Singh Sekhon: “Flying Officer Nirmal Jit Singh Sekhon, PVC (17 July 1943 – 14 December 1971) was an officer of the Indian Air Force. 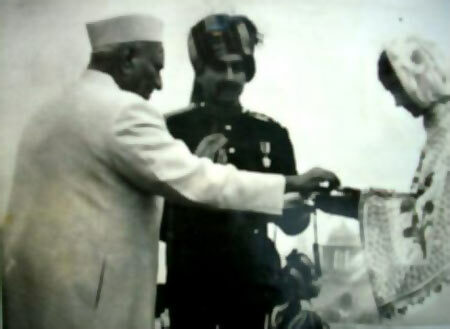 He was posthumously awarded the Param Vir Chakra, India’s highest military decoration, in recognition of his lone defence of Srinagar Air Base against a PAF air raid during the Indo-Pakistani War of 1971. He is the only member of the Indian Air Force to be so honoured”. 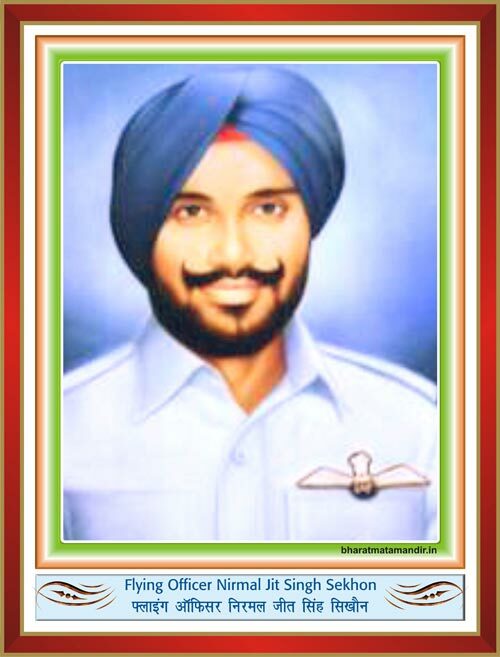 Flying Officer Nirmal Jit Singh Sekhon fought, ‘AN UNEQUAL COMBAT: SEKHON’S GNAT AIRCRAFT OF IAF with SIX SABRE SUPERIOR AIRCRAFTS OF PAF’ with an extraordinary and historical bravery of his own without any force or compulsion as I personally heard then talk of day always and seen the wreckage of his GNAT AIRCRAFT at Srinagar Air Force base, when I was posted as an AIRMAN in April 1972 at Srinagar. That’s why Pakistan Air Force (PAF) remembers ‘Flying Officer Nirmal Jit Singh Sekhon’ and honestly referring him as among “Some enemies are also Respectable” for all. I was a six year old kid on that fateful day in Srinagar. The story of his valour and sacrifice made a deep imprint on my mind. He was the reason I joined Armed forces.